Description: As with every NAA Mini-Revolver the hammer need not rest on an empty chamber. Using the original half-way notch cylinder the hammer may rest safely and securely without chance of accidental discharge. Our .22 Magnum can be used with all popular .22 Magnum ammunition including .22 Magnum shot shells (called Snake Shot by some manufacturers). 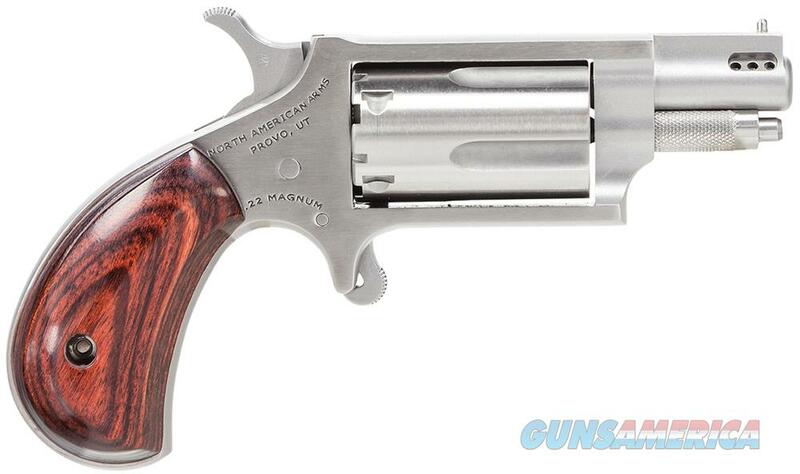 North American Arms offers a .22 Conversion Cylinder for our .22 Magnum Mini-Revolver. The Conversion Cylinder is a special longer .22 Long Rifle cylinder that will fit in your .22 Magnum Mini-Revolver.